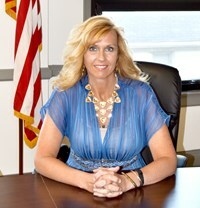 My name is Gina Roop-Deppert and I am honored to serve our students and community as the Treasurer/CFO of Sandusky City Schools. I have served as Treasurer for over 15 years; and have experience serving in the public sector for over 26 years. I was previously the Treasurer at Ashland City Schools for 7 years. I served as Assistant Treasurer and Treasurer at Berne Union Local Schools for 10 years. I have worked with the State of Ohio and Fairfield County in Fiscal Management. My educational background includes an Associate degree in Applied Sciences, a Bachelor of Business Administration, and a Masters of Science in Human Services from Ohio University. During my service at Berne Union, I was involved in the levy campaign and passage of a historical school district income tax. The district collects a school district income tax to this day. At Ashland City Schools, I had the privilege of working with my senior leadership team for the campaign and passage of a $27,500,000 bond issue. The district constructed a new state of the art high school auditorium facility, one new elementary building, and a new middle school building. The experience of being part of this project was rewarding. The total construction project was matched by the State of Ohio Facilities Construction Commission by approximately 41%. I believe in upholding fiscal responsibility and accountability to our invested constituents of the Sandusky City Schools. I am blessed to work with a fiscal management team that upholds the laws governing school finance, honors implementation of audit compliance issues pertaining to the Ohio Revised Code and the management of public funds for educational entities. My department provides valuable customer service to all district employees and many vendors of Sandusky City Schools. We believe in tradition, pride, and excellence for our students. We believe in fiscal accountability for guardianship of proper use of your public dollars. The Finance Department of the Sandusky City Schools oversees all fiscal operations of the school district. These operations include financial forecasting, budgeting, grant management, payroll, accounts receivable, accounts payable and employee and district insurance programs. It is the mission of Treasurer’s department to serve the employees, vendors, students, families, and community for financial services and reporting of the district. Current monthly financial reports for all funds of the District are available in the Forms link to the right. We are the department responsible for all financial transactions pertaining to local, state, and federal funding. Our taxpayers deserve to be aware of the financial future for the optimal educational experience of our most cherished assets, students of Sandusky City Schools. Financial forecasting is an integral component of the operation of the school district, culminating with the reporting to the State of Ohio through the Five Year Forecast. The five-year forecast is constantly being updated with revised information and is used, to assist, in planning for budgeting, staffing and future requests for funding. In reviewing the Five Year Forecast it is important to note that future years include projected additional tax issues that are necessary to maintain a positive balance. It is also important to note that the most recent forecast shown here is the forecast that has most recently been approved by the Board of Education for submission to the Ohio Department of Education and not necessarily the most recent forecast used for planning purposes. The Sandusky City Schools have been very fortunate to be the recipients of generous memorial trust and scholarship funds. These funds have been instrumental in financing the many enrichment programs that set our district apart and in seeing many of our graduating seniors into and through college. These funds have been left in the care of the district and are restricted in use, and therefore not available for day to day operational expenditures. The complete year-end report of these funds is available to the right. The finances of the Sandusky City School District are subject to annual audit procedures. The District prepares its annual CAFR and the Auditor of State conducts its audit of the CAFR and issues an opinion on the financial statements. CAFR’s, including audit opinion letters, are available through the links to the right. Do you have a question for Mrs. Deppert? If so, submit your question in the box below! 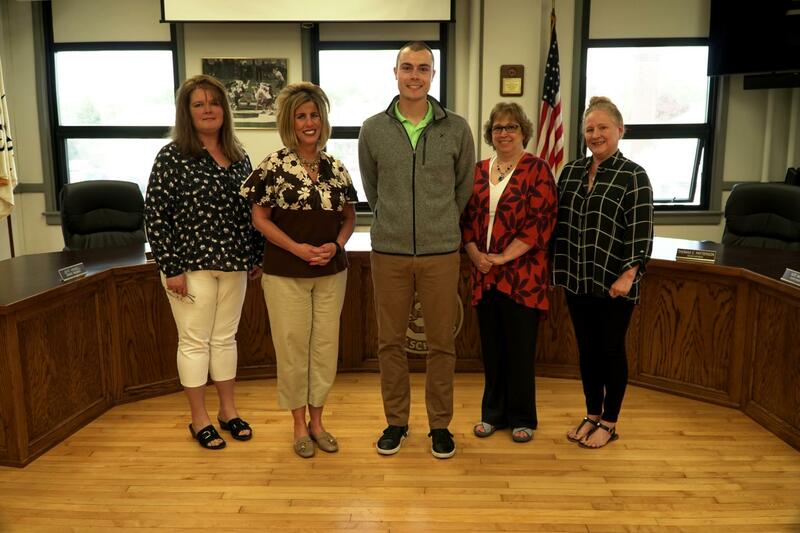 COLUMBUS – The Sandusky City Schools Treasurer’s office and Ohio Treasurer Josh Mandel announced a partnership to The Sandusky City Schools spending information online at OhioCheckbook.com. Last year, Treasurer Mandel launched OhioCheckbook.com, which for the first time in Ohio history puts all state spending information on the internet for taxpayers to search, sort and download. OhioCheckbook.com recently earned Ohio the number one ranking in the country for government transparency, setting a new national standard.